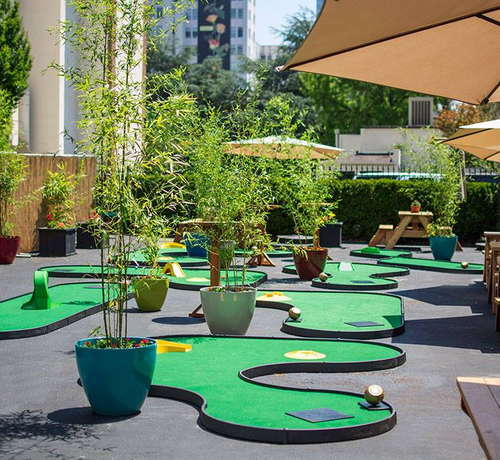 If throwback Hollywood style is your jam, you'll feel right at home at Hotel deLuxe. This art-deco hotel is an homage to old Hollywood, where film stills and photographs of starlets from the 30s, 40s, and 50s paper every hallway and classic films are regularly screened for guests. If you want to feel like you took a time machine back to the days of black-and-white glamour, Hotel deLuxe is a can’t miss. The rooms take a more understated approach to the Hollywood glam theme that’s on full display elsewhere in the hotel, but that’s a good thing. The art-deco touches (like the upholstered headboards and glass lamps) and vintage film stills compliment the otherwise neutral design of the room. The focus here is definitely on comfort; from the Mascioni linens to the Simmons Black Label pillow top mattress to the actual pillow menu where you can order a pillow that’s just the right level of soft pillowy, Hotel deLuxe pulls out all the stops to make sure you’re well taken care of during your day. Hotel deLuxe’s motto is “treat every guest like a celebrity” - and it’s a motto they deliver on. If you decide you want to spend a night snuggled in bed watching old movies (and once you feel the bed, you probably will), just call the front desk and they’ll send someone up to hand deliver a pint of Salt & Straw - Portland’s most iconic ice cream - directly to your room. The whitewashed bathrooms are bright and clean, if a little on the small side. YOU SHOULD KNOW The bathrooms at Hotel deLuxe feature old-fashioned sinks - which are a great fit for their Old Hollywood vibe, but not a great fit if you need counter space to set your products. 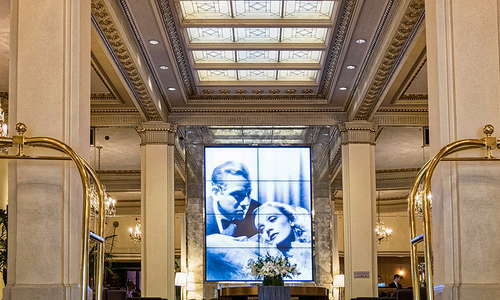 There’s only one word to describe the lobby at Hotel deLuxe: grand. From the marble entrance to the studded pillars, the exquisitely detailed ceiling and chandeliers to the vintage photographs, no detail was spared when designing this space. Grab a seat on one of the plush chairs and enjoy a bit of people-watching before you head to your room. The fitness room at Hotel deLuxe is small, with just a few cardio machines and free weights, but it is open 24 hours a day, so if you avoid peak times you should have no problem. 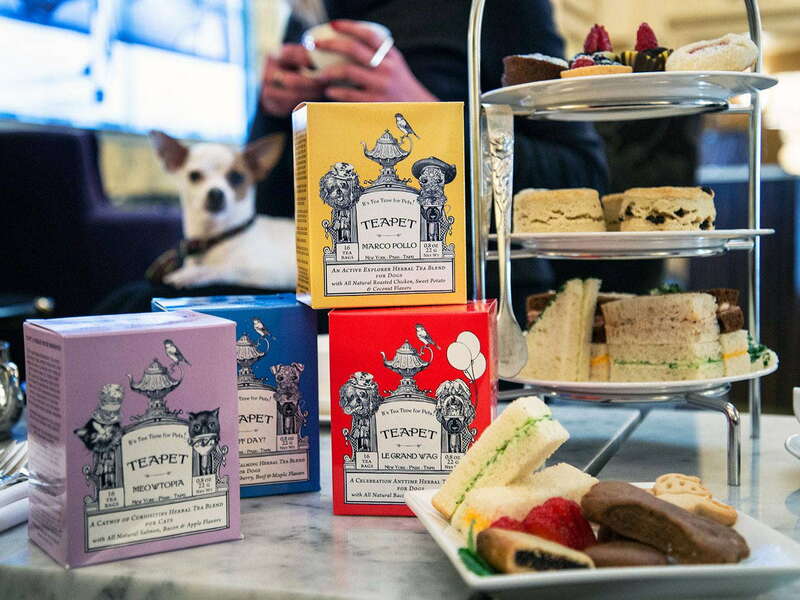 There are a few dining options at Hotel deLuxe, but the standout is their Afternoon Tea, which serves a variety of custom-blended teas, house-made scones and pastries, and tea sandwiches. The entire service feels very elegant and old-world classy. Traveling with your dog? 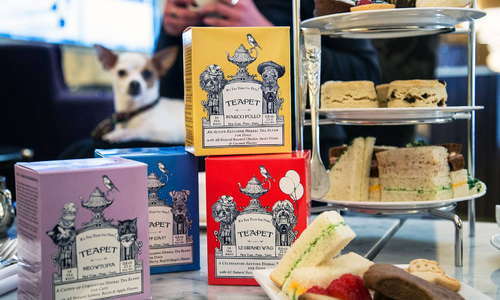 Let the hotel know and they’ll bring over teas custom-blended for your four-legged friend. Hotel deLuxe is home to The Driftwood Room, a cocktail lounge known for its craft cocktails and 1950s-glam ambiance. 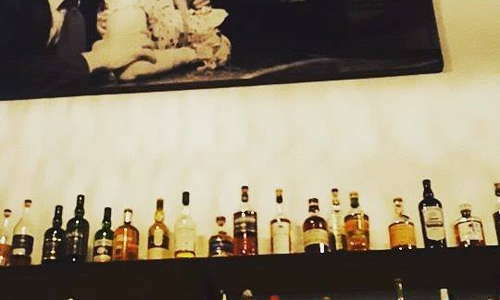 Sample one of their famous champagne-infused cocktails or keep things classic with an excellent old-fashioned. 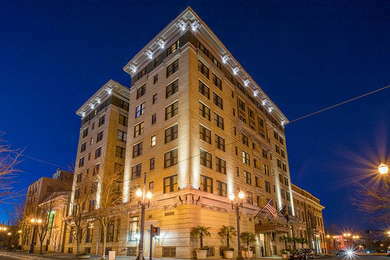 Hotel deLuxe’s location in downtown Portland makes it easy to get around on foot, but if you want other options, you’re in luck. 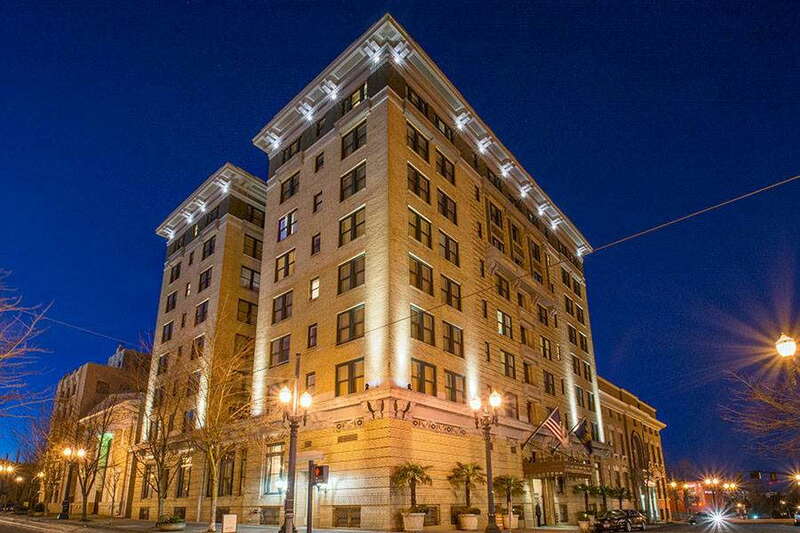 The nearest MAX Light Rail station is only two blocks away, the hotel has bicycles you can borrow for the day, and self-parking is complimentary with your stay. For one of the best brunches in the city, head to Tasty N Alder (6-minute walk), where drool-worthy dishes like Chocolate Potato Doughnuts and the Tasty Hangtown Fry (an open-faced omelet with oysters, bacon, and cheddar) more than justify the notoriously long wait times. For dinner, try Gilda’s Italian Restaurant (2-minute walk), a local favorite known for serving up authentic Italian fare in a cozy, intimate atmosphere. 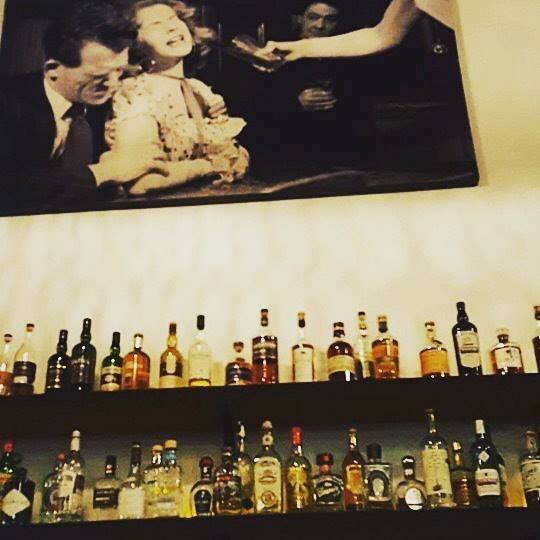 Keep the old Hollywood vibe going at Barlow (10-minute walk), a 1920s-themed speakeasy known for its inventive cocktail menu (standouts include the Candy Warhol, a rhubarb-infused vodka drink, and Fraise Corpse Reviver, which is a strawberry cocktail laced with absinthe). If you need a break from all the glamour, try Deschutes Brewery Portland Public House (10-minute), a popular spot where you can sample beers brewed on-site just for the Portland location. Hotel deLuxe does an amazing job of capturing the spirit of old Hollywood and infusing it into every inch of their hotel. And when you stay there, not only will you get caught up in the glamour and luxury - but that glamour and luxury will rub off on you. By the time you walk out the door, you’ll feel like a star.